Are your bulit-in bookshelves throwing you for a loop? Don’t let them scare you. 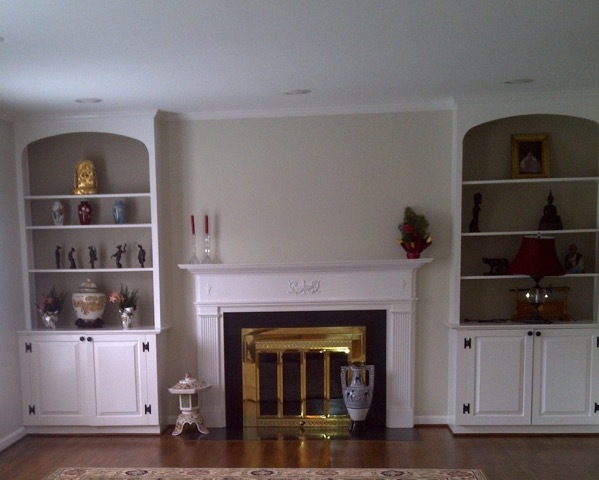 Built-ins are such a great way to personalize your space. 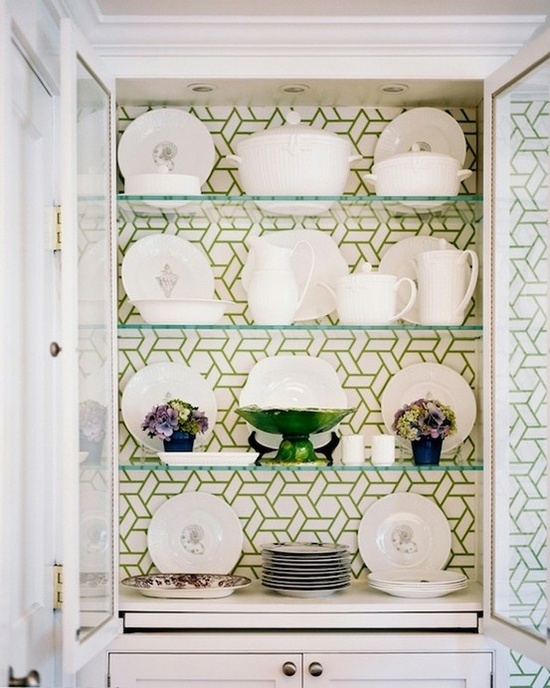 One economical idea to make your shelving stand out is to add wallpaper. In this after picture we added a candlelight grass paper to the shelving. My client’s father had passed away. She inherited some of the pieces he collected while living abroad. We were able to use the pieces in the space to add family memories. The wallpaper always creates cohesiveness for the items being displayed. 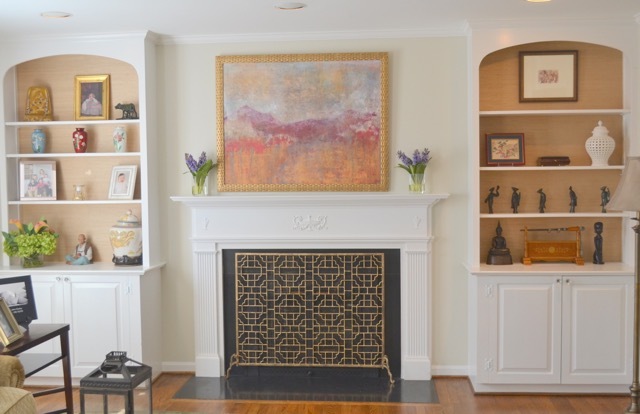 The geometric fireplace screen really updated the space.